Assam Transport Minister Chandra Mohan Patowary discussed the World Bank-aided project to modernize the inland water transport in the State with representatives from World Bank at Janata Bhawan, Dispur in Guwahati on Tuesday. In a move to modernize the inland water transport in the State, the World Bank has initiated a Rs 1000 crore aid for development of its water terminals, river front and jetties. The meeting discussed the development of five port cities at Jogighopa, Neamatighat, Dibrugarh, Biswanath and Silchar. The ports will be a multi-modal hub with storage and cargo handling facilities. The Minister asked the team to expedite the work and transform the plan into action. He also underscored the necessity of introducing water taxis from Guwahati city to airport via the Brahmaputra River for easy and faster mode of travel. The Minister also said that the development in this sector will facilitate fast, cost-effective and pollution-free transportation of goods, agro-products and passengers. Referring to the State’s vibrant water transport system in pre-independence era, Minister Patowary said that the revival of this mode of transport will boost business and help the state in scaling new heights of economic success. Additional Chief Secretary Ravi Capoor talked on the immense possibility of introducing cruise along the rivers adjoining the national parks of Kaziranga and Manas. 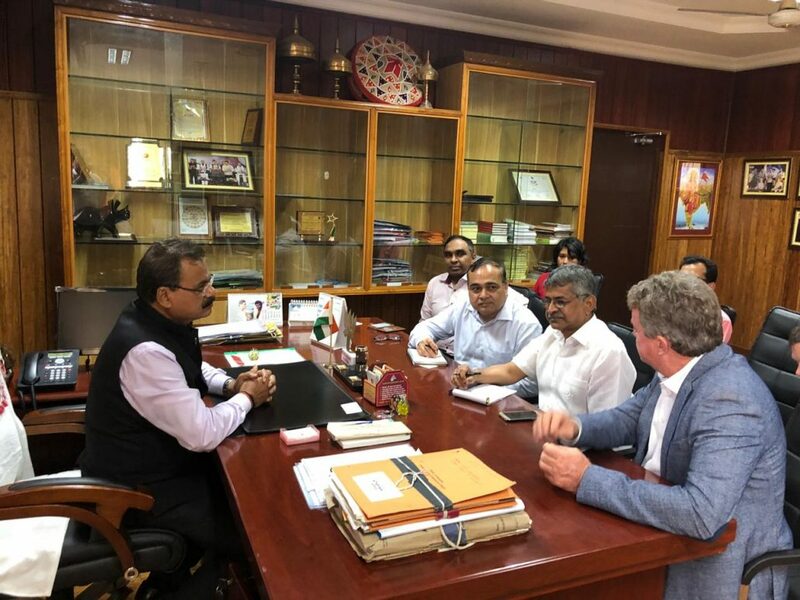 Bharat Bhusan Dev Choudhury, Director, IWT and officials from World Bank – Atul Agarwal, Anthony Hughes and David Wignall also attended the meeting.